Andre Schembri is set to stay at Apollon Limassol during the 2018/2019 season. 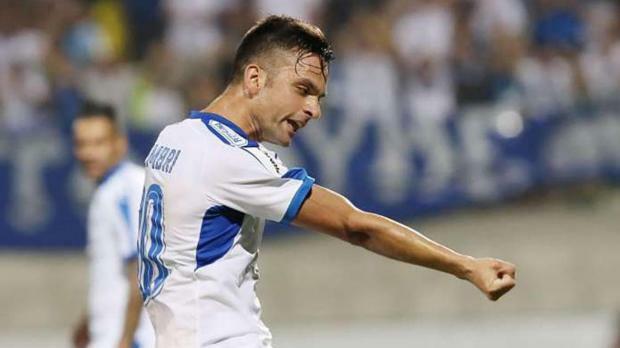 Andre Schembri is set to continue wearing Apollon Limassol's colours during the 2018/2019 campaign, despite reports linking him with a possible departure from the Cyprus club. The Malta international was reportedly linked with a move to Greece's top-flight but the former Boavista forward has vowed to remain in Cyprus. "It is true that there are various clubs from Greece chasing me but I have decided to honour my contract at Apollon Limassol," Schembri told Times of Malta. This season so far, Schembri took part in four UEFA Europa League qualifying games, in both the first and second round leg ties. However, he was not involved in neither the first nor the second leg of their third round tie against Dinamo Brest. Apollon take on Basel tomorrow in the play-off round of the same competition (kick-off: 8pm). Schembri has played 44 times for Apollon, scoring 10 goals and registering 3 assists.